I’ve always been a beach bum at heart. For me the perfect day has always been one at the beach with a good book, an iced tea, and a nap. St. Thomas has added to that list for me to include a bit of snorkeling. With sea turtles poking their heads up or tarpon leaping from the water just off the shore, how could I not go see what’s out there when I’m so close? Small Islands & Cays- One of the best parts of going to the Virgin Islands is that there is a world of small islands, cays, and one of a kind sights to behold just hours or even minutes by boat from any island you have made your temporary home. Christmas Cove, is one of the top snorkeling areas as there are plenty of reefs just off of Great St. James island and many sea turtles are spotted there. Snorkel Christmas Cove on a Half-Day Sailing Tour. Sample assorted cays off the coast and remote St. Thomas snorkeling spots on a Private All-Inclusive Full Day Sail - U.S. Virgin Islands. Henley Cay is just a short kayak off the coast of St. John and offers truly amazing reef growth building up to its pure, sandy shore due to its limited encounters with humans. Scout this nearly untouched island and its thriving snorkeling display on a Henley Cay Kayaking and Snorkeling Tour. For passport holders, a Day Sail to Jost Van Dyke provides access to hidden snorkeling spots and remote cays along the way to the BVI. Explore true snorkeling gems at the Indians off of Norman Island or the Baths at Virgin Gorda or the remote destination of your choice with a St. Thomas Charter Boat Tour. Discover the real snorkeling secrets of the Virgin Islands off the shores of its remote cays and deserted islands. Hop between small islands and cays you can only reach by boat to snorkel with sea turtles, stingrays, vibrant coral reefs and more with a skilled captain to cater your private charter to your mood! Enjoy top remote snorkel spots with thriving reefs at Christmas Cove or Lovango Cay on a breezy sailboat with all your gear included! Then continue on to St. John for even more snorkeling followed by lunch and a very open bar! Marine Sanctuaries- For the true nature lovers looking for unique St. Thomas snorkeling excursions, the islands’ many marine havens and protected reefs are sure to deliver. Ecotours get up close with the unique natural plant and wildlife havens found in St. Thomas and St. John. The mangrove lagoon in St. Thomas is a snorkeling site like no other as land and sea come together through the balanced eco-system provided by the salt filtering mangrove trees and the marine sanctuary found among their roots. Spot unique coral growth on the tree roots and the fish nurseries hidden between them on a St. Thomas Mangrove Lagoon Ecotour. Snorkel the sheltered waters of the VI National Park system where coral and marine life are protected and watched for health and growth. Hike and Snorkel or paddle about on a St. John Eco Hiking and Snorkeling Tours through Caneel Bay, one of the top bays for snorkeling in the National Park. For more range, sample the marine havens of various National Park bays on a St. John Full Day Sail. Eco-friendly travelers can get a little more out of snorkeling by swimming these marine sanctuaries. Let our skilled guides take you through the best marine sanctuary in St. Thomas where you will encounter all of the wildlife that lives above and below the waters of the mangrove lagoon! Discover amazing coral sights and tropical fish among the mangrove roots! Great for groups of all ages! Nature lovers will enjoy this extended tour through the best marine sanctuary in St. Thomas with extra time to explore and lunch with a stunning ocean view! Get even more time to snorkel as your local guide points out all of the marine life that lives in the mangrove lagoon! Beaches- The best St. Thomas snorkeling spots can be found at almost any beach on island, but some areas are a near sure-thing for certain marine life. Snorkeling Coki Beach, St. Thomas, guarantees you’ll swim with schools of fish, and beach vendors sell snacks for the fish, so they’ll eat right out of your hand. Secret Harbor is a quiet bay where coral growth begins the moment you step in the water. Vibrant fish, rays, and even sea turtles are often spotted, and the calm waters of the bay make it a great St. Thomas snorkeling spot for beginners. Snorkeling Sapphire Beach, one of St. Thomas’ larger beaches, provides things to see from large elkhorn coral to flapping eagle rays for hours of unique snorkeling in this great bay. The famous Magens Bay is not really known for being a beach with snorkeling spots. However on the edges of the bay, there is plenty of healthy coral and schools of fish, and tarpon, stingrays, and even sea turtles can often be found in the grassy areas. Some of my best moments with wildlife and undersea photos taken in the Caribbean Sea happened while snorkeling at Magens Bay, St. Thomas. 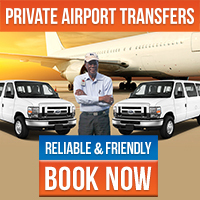 Don’t miss spotting that awesome encounter that you have been waiting for! 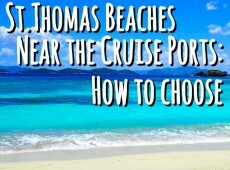 Rent gear or bring your own and hit all of these world-class snorkeling spots in one day on a St. Thomas Beach Hopping Private Tour or sample one of these beaches and add in some island sights on a St. Thomas Sightseeing and Beach Tour. St. John is also home to great snorkeling locations in its National Park Service waters such as Trunk Bay, Cinnamon Bay, and Maho Bay. Honeymoon Beach stands out as one of the most beautiful and pristine beaches in St. John with vibrant coral and an array of fish just off the shore. A Honeymoon Beach All-Day Watersports Package is perfect snorkeling excursion for first-time snorkelers or children as so much can be seen in its shallow, crystal clear waters. Add some adventure to your beach snorkel experience with a Half-Day Snorkeling and Sail to St. John and capture the beauty of Honeymoon Beach that extends under the sea as you swim to shore. Beach bums can get the best of the sand and sea with St. John and St. Thomas snorkeling spots right off the beach. Relax and enjoy a breezy sail and snorkel as you journey between the clear waters of St. Thomas and St. John and enounter awesome snorkeling spots at the thriving reefs off Honeymoon Beach! The fun continues on with an open bar, lunch, and beach time! 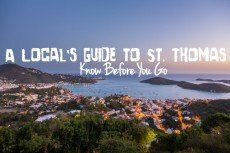 Board a fun filled ride around the island where our local guide will show you the best sights of St. Thomas! Then choose Coki Beach for your afternoon beach stop to snorkel with schools of vibrant fish and coral reefs in a rainbow of colors at one of the top snorkeling beaches! If you are a beach bum like me, an explorer, a nature lover, or somewhere in between, there are St. Thomas snorkeling spots for any and everyone. 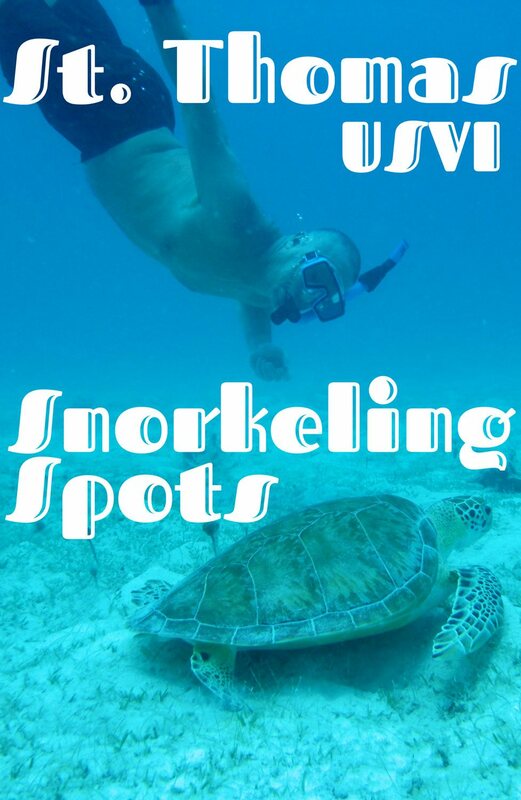 Whatever your snorkel desires are, don’t miss the don’t miss spots! Check off one of the best things to do in St. Thomas and hit those best-kept secret snorkeling spots on your visit to the islands. 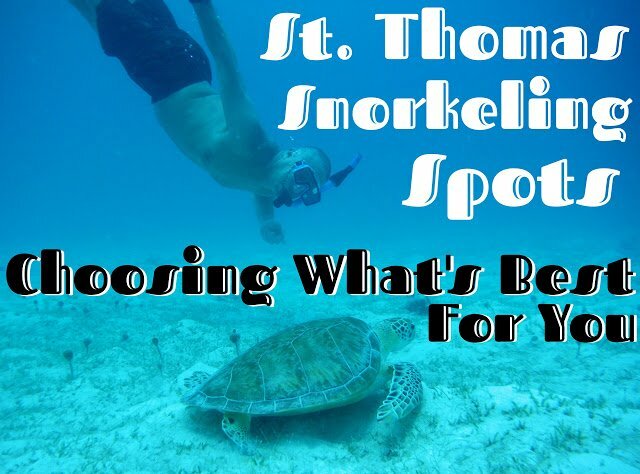 Be sure to check out our St Thomas Snorkeling page for the best St. Thomas snorkel tours and for more info about snorkeling in St. Thomas, visit our Locals Guide to St. Thomas Snorkeling! If you have any questions about St. Thomas snorkeling spots or any questions about the island, call or e-mail us for local insight! Let us be your guide to the best snorkeling spots in St. Thomas & the excursions that will take you there. Don't miss the best St. Thomas snorkeling!